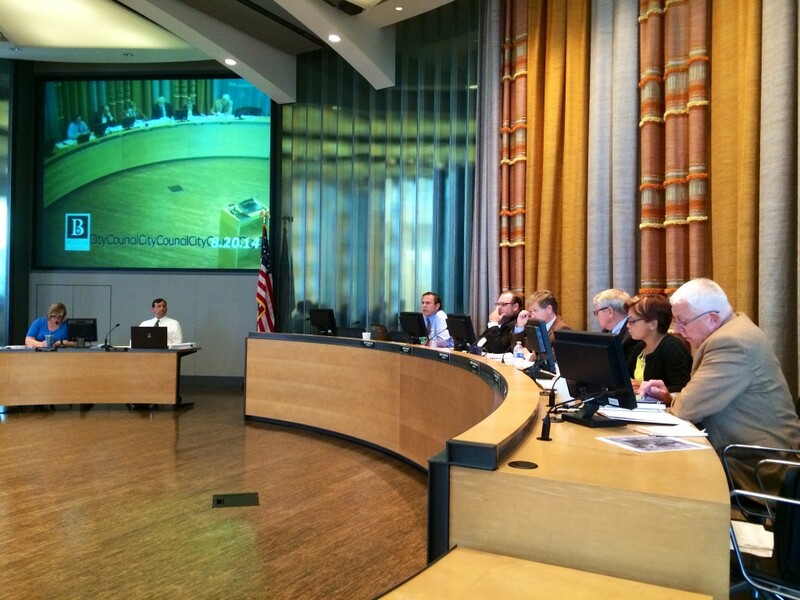 In the midst of a busy Bremerton City Council meeting Wednesday night, City Clerk Shannon Corin apologized for the “peanut gallery” comment she made two weeks ago. The council meeting felt like more of a town hall-style forum when the taxi ordinance was discussed, with Council President Greg Wheeler allowing for more of a free flow of questions, comments and responses from the council, city staff and the audience. At one point while the council was talking directly to an audience member, City Clerk Shannon Corin admonished the “peanut gallery” for speaking without being recognized. To start Wednesday night’s Council meeting, Council President Greg Wheeler made several decrees that I think made it clear he would be calling the shots in the future when so-called “points of order” come up. The bottom line is that I suspect that we won’t see Council meetings as “free flowing” as the one on Aug. 6 concerning taxis. But on Wednesday night, after another call for an apology came during public comment from Port Orchard resident Robert Parker, Corin spoke up. She said she “felt horrible” over what she said. Robert Parker was in the audience? It’s fine by me if Shannon takes back her apology. Choked back tears? A little dramatic, don’t you think? Just want to make it clear that my above referenced post expressed my personal opinion as one of the members of the audience and not that of my role as Chair of the Bremerton Parks and Recreation Commission or that of the Parks Commission. I was not in the audience nor able to watch last night’s meeting it on BKAT (not yet) so at this point I do not have a response to last night’s events. Good point, John. I will adjust accordingly. Thank you for the clarification John. It should not have been written/referenced that way and people know better than that. Sounds to me like there was more than one person in the peanut gallery that night. What does this mean, “It should not have been written/referenced that way and people know better than that”? What people know better than that? Seems to me that it should never have been written that way and people know better than that!